This blog is no longer active. I am posting new cocktails and reposting some from this blog, over on my other blog, Sidewalk Shoes. 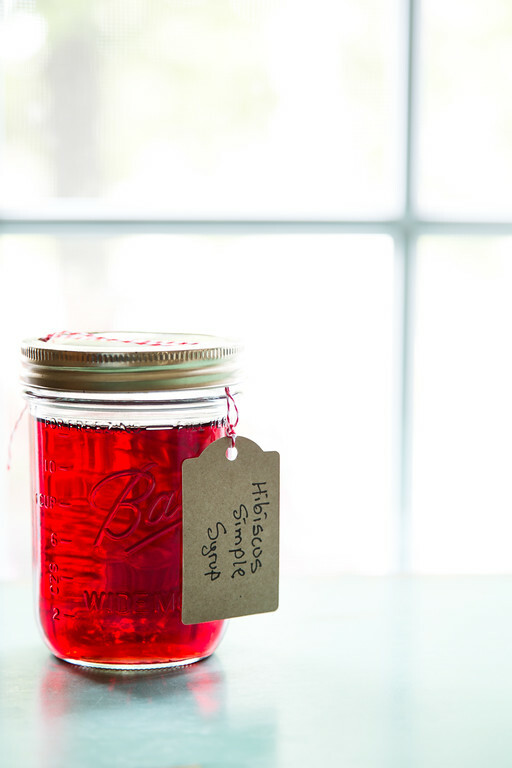 You can find this Hibiscus Simple Syrup on Sidewalk Shoes – Hibiscus Simple Syrup. I love making simple syrup too, and it’s so nice to have it ready and waiting in the fridge when a cocktail recipe calls for it! I’m intrigued by the idea of using tea bags for flavoring–on my to-do list now! Thanks for hosting the linkup! Interesting! I grow hibiscus and have been collecting blossoms each day (they only open for a day) to save for teas. I haven’t had enough yet to make any, but I should have soon. We had some at my brother’s wedding, and it was delicious! Your syrup looks so beautiful! I absolutely love hibiscus! Have you tried the flavored vodka? I will have to make my own cocktails with this syrup. Yum! I am sold for the color Pam, Love this simple syrup, photo is amazing, thanks for sharing with Hearth and soul blog hop, pinning. I love that you were able to make this simple syrup from teabags – what a fantastic idea! Your Hibiscus Simple Syrup is such a pretty colour and it sounds delicious. Thank you for sharing it with us at the Hearth and Soul Hop. The color is gorgeous! I use simple syrups most often for glazing my cakes and this would be perfect for my favorite buttermilk cake.